USA, 1974. Director: S.F. Brownrigg. Gene Ross, Camilla Carr, Charlie Dell, Norma Moore, Ann Stafford, Hugh Feagin, Joel Colodner. 84 Mins. Coming soon to Blu-ray , DVD and theaters! Watch the SCUM OF THE EARTH trailer! 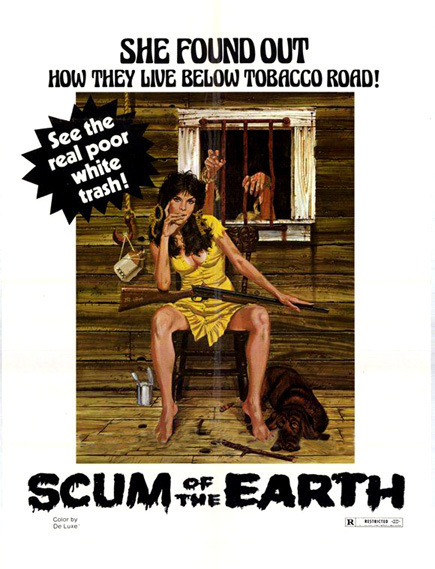 Box Office Spectaculars is preparing a special edition DVD release of SCUM OF THE EARTH, producer/director S.F. 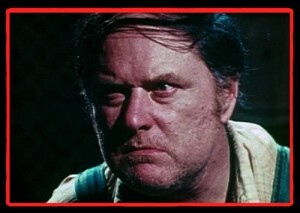 Brownrigg’s follow-up to his cult-horror hit DON’T LOOK IN THE BASEMENT. The new Blu-ray/DVD combo documents the making of SCUM OF THE EARTH with rare photos, commentary, and interviews with the film’s cast and crew. Paying tribute to Brownrigg, the package also includes the complete screenplay for DON’T LOOK IN THE BASEMENT and other surprises! David Szulkin, author of WES CRAVEN’S LAST HOUSE ON THE LEFT: THE MAKING OF A CULT CLASSIC, produced the new, restored version of SCUM OF THE EARTH with Box Office Spectaculars founder Bob Murawski, acclaimed Hollywood film editor of Sam Raimi’s DRAG ME TO HELL and SPIDER MAN 1, 2 & 3. Box Office Spectaculars has released deluxe DVD editions of Frank Perry’s THE SWIMMER, starring Burt Lancaster, which won the prestigious Satellite Award for Best Blu-ray/DVD; Sergio Sollima’s THE BIG GUNDOWN, the classic spaghetti Western starring Lee Van Cleef and Tomas Milian; CORRUPTION, starring Peter Cushing; Duke Mitchell’s GONE WITH THE POPE, Amos Sefer’s AN AMERICAN HIPPIE IN ISRAEL; and such best-selling cult-horror classics as PIECES, I DRINK YOUR BLOOD and Lucio Fulci’s CAT IN THE BRAIN. This is a worthy addition to the collection. Can’t wait to see this get the Grindhouse treatment. This is my MOST anticipated release! I am soooo excited and cannot wait for it! I can’t wait for this one, I’ve been anticipating this release since seeing the trailer a couple of years ago!